This is a scalable context timeline. 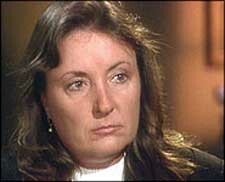 It contains events related to the event April-May 2000: 9/11 Hijacker Alshehhi Tells Librarian About Major Attack in US that Will Kill Thousands. You can narrow or broaden the context of this timeline by adjusting the zoom level. The lower the scale, the more relevant the items on average will be, while the higher the scale, the less relevant the items, on average, will be. He asks her for a loan of $650,000 to buy and modify a crop-dusting plane. He uses his real name even as she takes notes, and makes sure she spells it correctly. He says he has just arrived from Afghanistan. He tells about his travel plans to Spain and Germany. He expresses an interest in visiting New York. He asks her about security at the WTC and other US landmarks. He discusses al-Qaeda and its need for American membership. He asks her, “What would prevent [me] from going behind [your] desk and cutting [your] throat and making off with the millions of dollars” in the safe behind her. He gets “very agitated” when he isn’t given the money in cash on the spot. A portion of Mohamed Atta’s US visa obtained in May 2000. 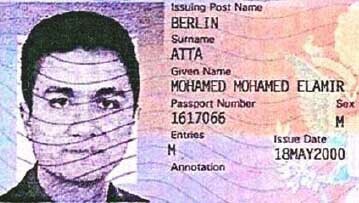 [Source: 9/11 Commission]9/11 hijacker Mohamed Atta supposedly arrives in the US for the first time, flying from Prague to Newark on a tourist visa issued May 18 in Berlin. [Miami Herald, 9/22/2001; Australian Broadcasting Corporation, 11/12/2001] Official investigations will late assume that this is the first time Atta was in the US. However, there are reports that he was in the US before this (see September 1999, April 2000, and Late April-Mid-May 2000). Michael Rolince, head of counterintelligence at the FBI’s Washington office, says of the 9/11 hijackers, “These guys were pros. For us to have done anything, these guys had to make a mistake. And they didn’t. Could we have generated enough information-ever-to keep them off those planes? I doubt it.” [Vanity Fair, 11/2004] In 2002, an FBI agent called this kind of argument “the Superman scenario.” The notion that the hijackers made no mistakes had been discredited well before Rolince’s comments (see April 2002).